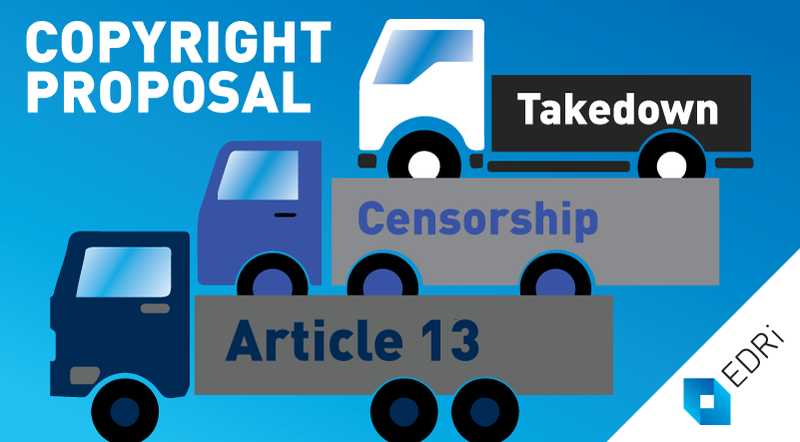 The European Commission’s proposal on copyright attempts something very ambitious – two different measures that would restrict free speech, squeezed into a single article of a legislative proposal. Internet service providers that “store” “large amounts” of “works” or “other subject matter” would be required to filter uploads to their service. Interestingly, the text does not say “illegal uploads” or “unauthorised uploads”, but simply uploads that have been identified. What does this mean? It means that any video that an individual creates that includes a clip or a picture identified by a rightsholder would have to be blocked. It means any meme that contains an image identified by a rightsholder would have to be blocked. It means that any parody that uses a work identified by a rightsholder would have to be blocked. The European Commission claims that the proposal is complementary to the E-Commerce Directive (which gives limited protection from liability to internet providers). However, the explanatory “recitals” describe the activities of internet hosting companies in a way that would mean that pretty much no company would be protected. In order to defend themselves from liability, they would have to aggressively monitor and delete any information from any user that generated any legal risk. 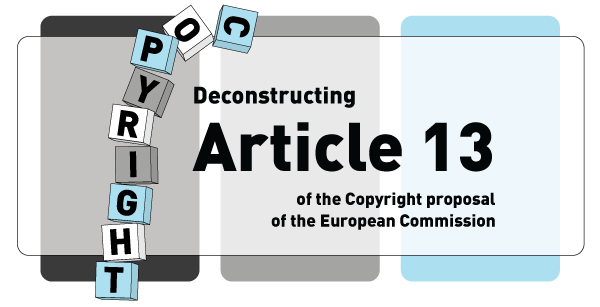 The European Commission proposal to deal with the inevitable, unfair restrictions of their freedom of speech is that individuals should be able to appeal to private redress mechanisms created by the companies that imposed the unfair restrictions. As weak as this safeguard would be, the situation is slightly worse. Restrictions imposed by companies are almost always done on the basis of their terms of service, rather than the law. As a result, very few of the inevitable, unfair deletions will be done on the basis of law, so even this very limited “safeguard” will not exist in reality. Spread the word on Reddit, Twitter, Facebook, shout it from the rooftops! Contact your national ministry responsible for copyright to tell them this is unacceptable.